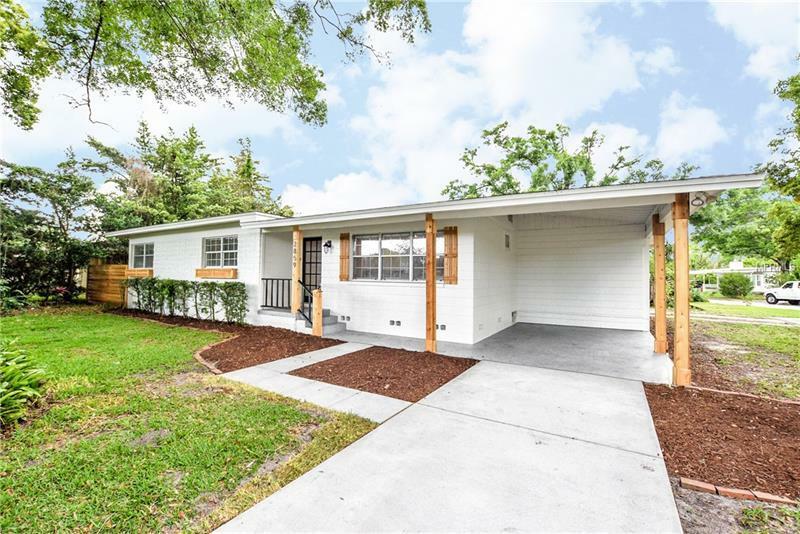 Fully Renovated Home! Gorgeous three bedroom, two bathroom home. ORIGINAL hardwood floors professionally refinished! Stainless appliances in the galley kitchen with beautiful cabinetry and quartz counters. Ceiling fans throughout and window blinds on all windows. Great layout with large living room, dining area and rear den or sitting room. Garage enters into large open interior space. Nice size paver patio. Many designer touches added during renovation.